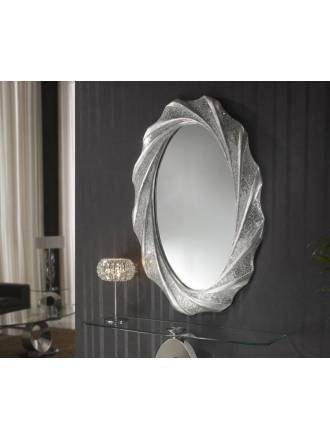 Modern mirrors with original designs and high quality finishes, ideal to add personality to all kinds of decorations. 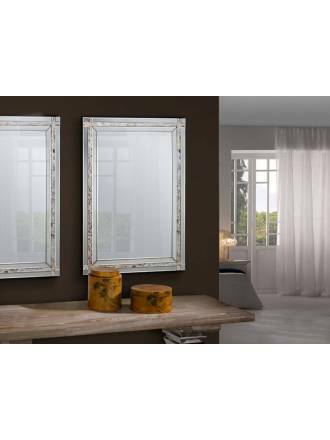 SCHULLER Sorrento wall mirror 210x97cm framed beveled pane of glass. 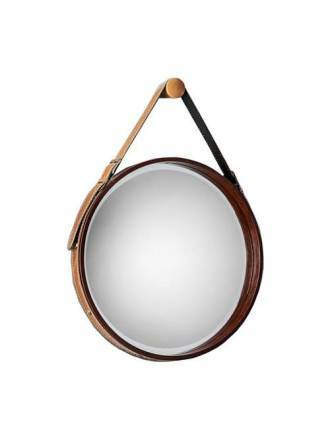 Wooden support and DM black finish. 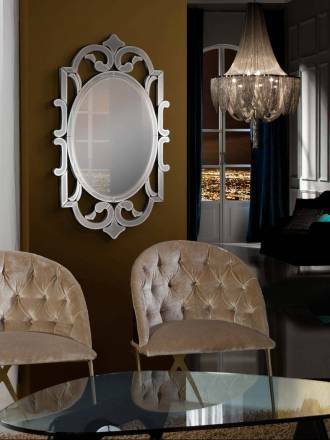 Bevelled inner pane of glass. 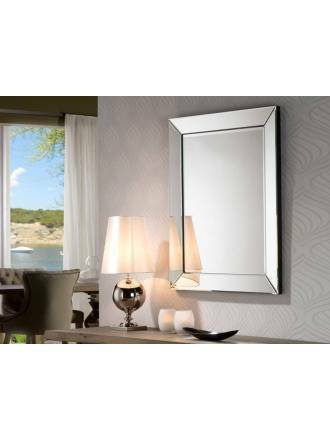 SCHULLER Irina wall mirror 200x90cm. 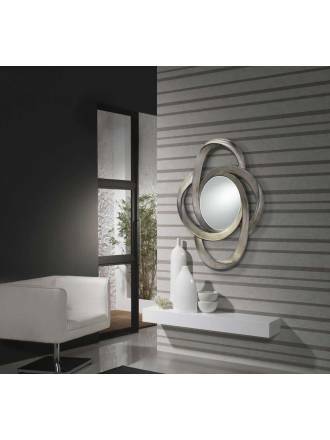 Beveled central panel of glass and frame made of wooden black and curved mirrors. 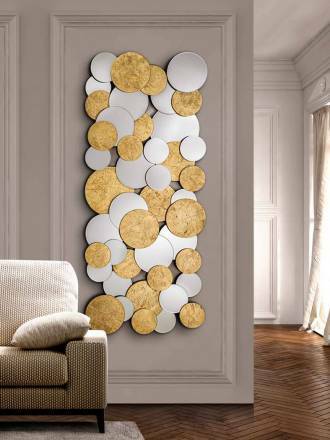 SCHULLER Cirze wall mirror 140x60cm formed by spheres of beveled pane of glass and glass-bottomed in gold leaf. 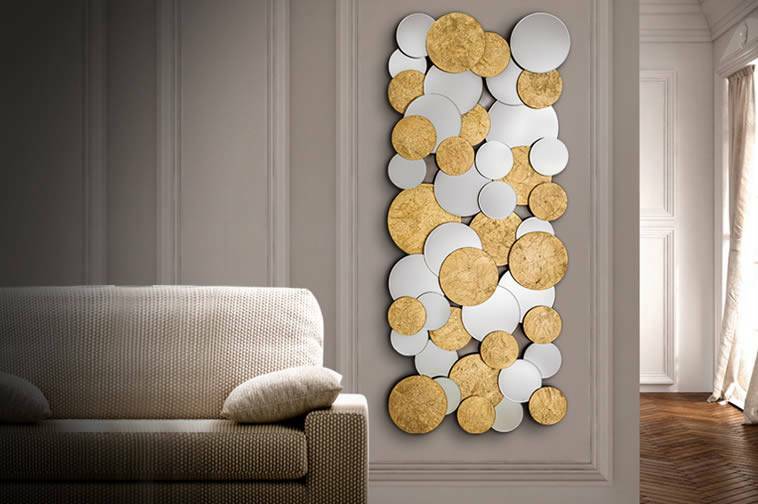 SCHULLER Lluvia wall mirror 70x90cm made with beveled pane of glass and frame decorated with silkscreened drops. 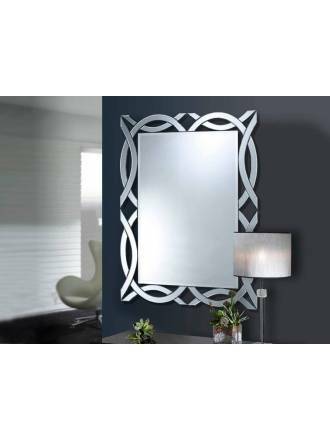 SCHULLER Nacar wall mirror rectangular 90cm with central beveled mirror. 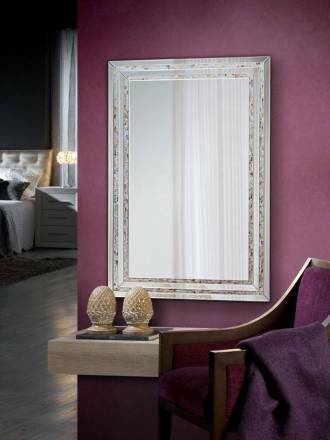 Frame made with beveled mirrors and nacre stripes. 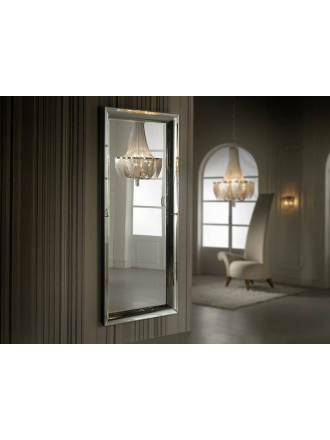 SCHULLER Nacar wall mirror rectangular 120cm with central beveled mirror. 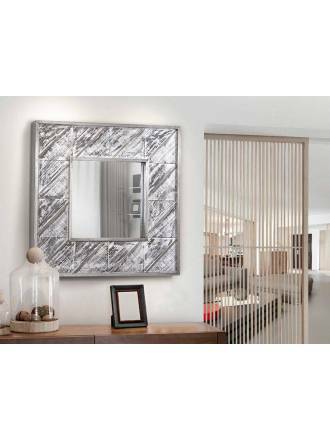 Frame made with beveled mirrors and nacre stripes. 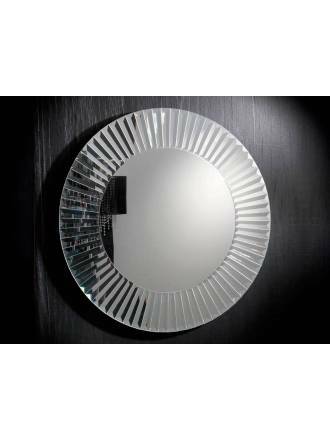 SCHULLER Alhambra wall mirror rectangular with bevelled central mirror plate and outer frame as a frieze, with curved sections of bevelled mirrors. 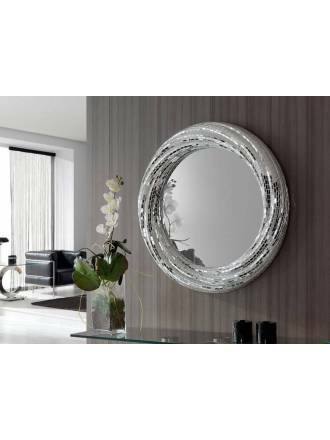 SCHULLER Zeus circular 100cm mirror wall with mirror with frame of bevelled mirror plates. 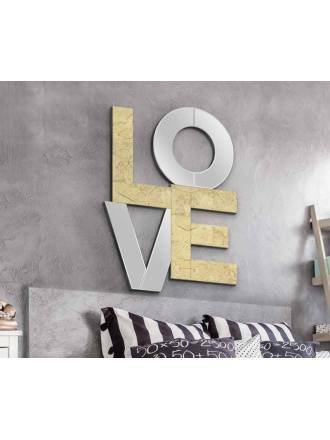 Wood and MDF support. 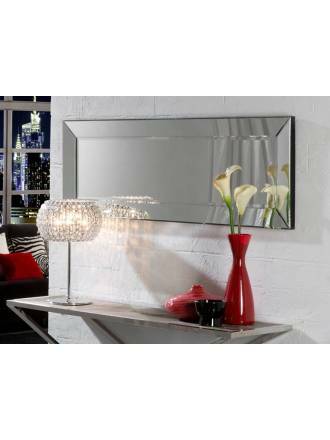 SCHULLER Roma rectangular 150cm mirror wall made with bevelled inner and outer mirror plates. Rear panel in wood fibreboards. 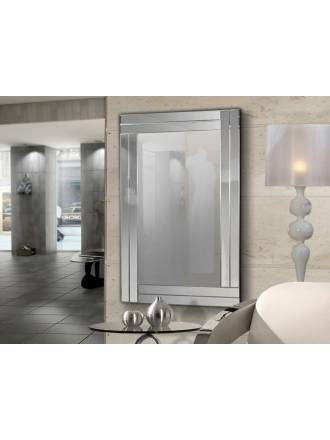 SCHULLER Roma rectangular 178cm mirror wall made with bevelled inner and outer mirror plates. Rear panel in wood fibreboards. 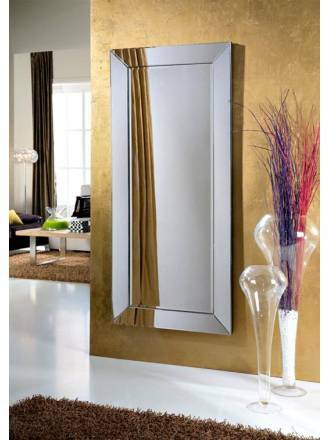 SCHULLER Roma rectangular mirror wall made with bevelled inner and outer mirror plates. Rear panel in wood fibreboards. 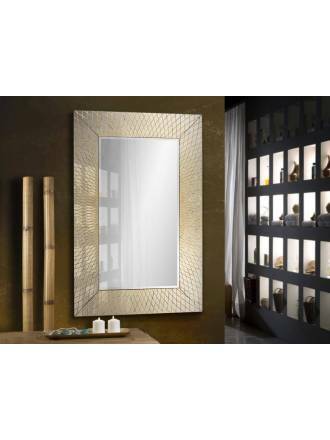 SCHULLER Hermes wall mirror rectangular beveled central moon with crystal with graphics in gold leaf frame. 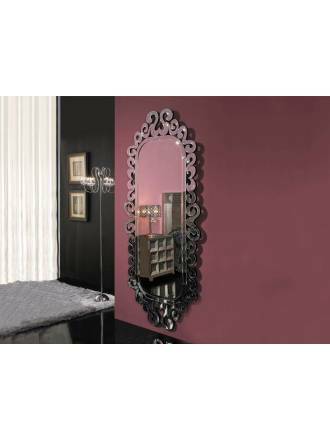 Back in dm black. 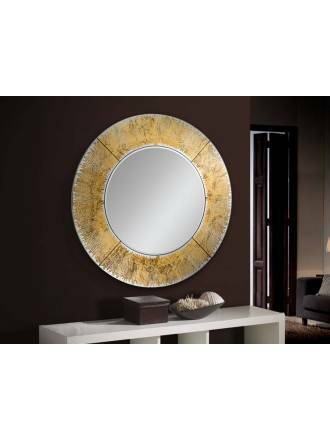 SCHULLER Aurora wall mirror circular with central beveled mirror and glass frame with gold leaf graphic. MDF back, lacquered in black. 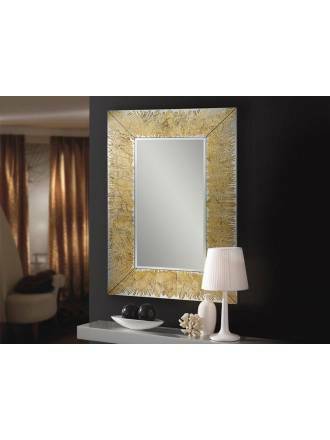 SCHULLER Aurora wall Mirror with central beveled mirror and glass frame with gold leaf graphic. MDF back, lacquered in black. 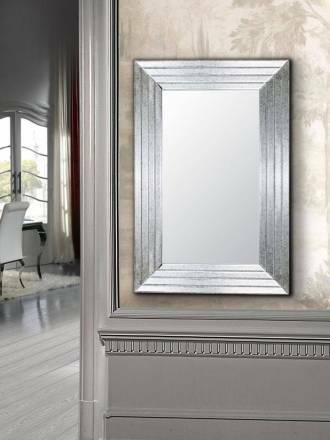 Schuller Galaxia wall mirror finished silver leaf, valid for hanging horizontally and vertically.